Fall Basketball will begin with the Gwynn Park Varsity Girls Fall League. The league will start September 9th with the game start times scheduled from 12:00 pm – 3:00 pm in both gyms, three-person crews will be assigned. To be assigned games, you must have 3-person experience. 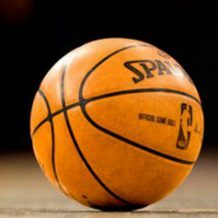 NFHS Rules and Mechanics will be enforced, with some amendments as to bonus free throws and halves instead of quarters. The rules will be at the table. Incident and Game Reports will be required when necessary. Must arrive 30 minutes before game time. The referee will contact the crew 24 hours in advance. Uniform black shoes, black and grey shirt, lanyard, black socks, black shorts (till the weather changes), Fox 40 whistle. Commissioners – 1&2, QIP-MDC Coordinators will be out at different dates to evaluate and train crews. For those who did not work this Summer don’t wait till the Winter to get in shape, take advantage of this opportunity to get instruction and to show what you got. Come out even if you’re not working to listen to the instruction. I will post more Leagues when they become available. Update your availability calendar thru next March. Any questions or concerns please contact me directly.